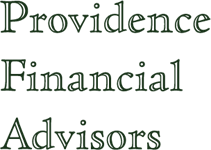 As an independent advisor, PFA is able to utilize the full spectrum of investments of public and private offerings. This open architecture provides the flexibility necessary to find the best way we believe to invest our clients’ portfolios without being limited by captive products or funds. We do not limit the types of investment consider for client portfolios to one type, i.e. ETF or index funds, but try to identify the best way to invest in the asset classes in the portfolio. The first step in managing a client’s portfolio is to establish an Investment Policy Statement based on the goals and risk profile of the client. Once this policy is in place the portfolio is invested across several asset classes based that we believe provide the best opportunity in the current market to achieve the client’s goal(s). The portfolios are broadly diversified to help dampen swings in the portfolios. The underlying investments are selected based on rigorous screening. When seeking a new investment for client portfolios, PFA screens a broad data base of offering to identify potential investments. Once an initial list is developed, PFA conducts further research by meeting directly with a representative of the potential investment firm to gain a better understanding of the investment discipline. Those strategies the pass this screening criteria are then available to be used in client portfolios. PFA does not limit the types of investments utilized in client portfolios but utilizes mutual funds, exchange traded funds (ETF’s) and other vehicles as appropriate. We believe ongoing evaluation of current investments are as important as the research at the initial stage. PFA monitors the investments in client portfolios on an ongoing basis. This monitoring includes meeting with the managers in the portfolio to review the investment and to ensure they are managing the funds consistent with their strategy. Please contact us to discuss our process further or for a free consultation of your current investment strategy.